Zoe Stewart Photography newborn & child portrait photographer Edinburgh and lothians: Early Christmas Gift? Good morning!! So, because I've been a little MIA lately I thought I'd pop on a treat of the festive kind! My Christmas shoots are the only mini sessions I have and this makes them fly out of the diary like warm hot chocolate & cookies. I only have a few spaces left already but I decided I'd put one up for grabs! Yep, one of you lucky likers will be invited to the studio for an early christmas gift! 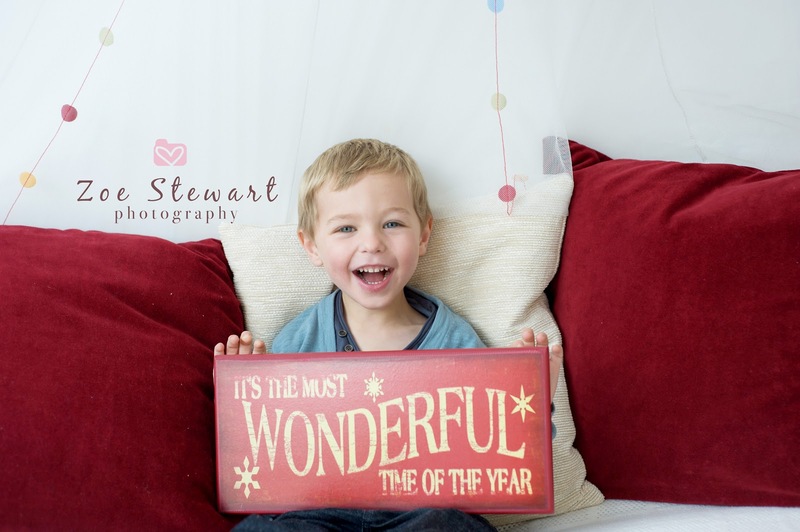 A wonderful shoot in my studio, complete with an amazing christmas backdrop. some lovely prints and a wall calendar too! What do I have to do I hear you ask! So, all you have to do, is pop onto the lovely Facebook page, hit SHARE on the competition image and leave your email in a comment below. I'll be popping all the shared links in a random generator and by 6pm on Sunday we'll have a lucky winner! The prize is for the winner and his/her immediate family only. The prize cannot be swapped or exchanged. Session takes place in the Zoe Stewart Photography Studio, Edinburgh. Image must be shared on your wall to be entered. Have shared on my facebook page!